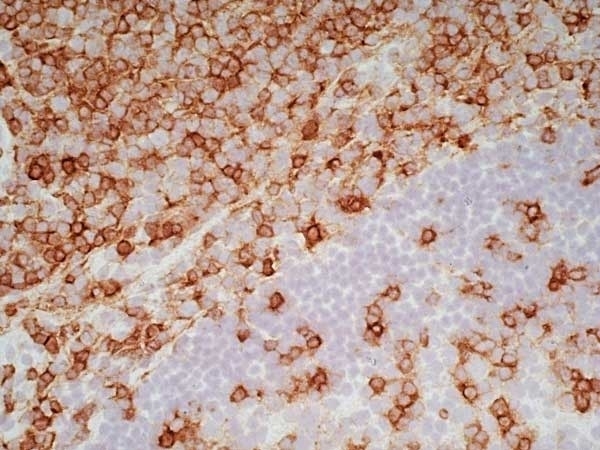 Mouse anti Human CD7 antibody, clone LT7 recognizes the human T-cell antigen CD7, also known as TP41 or CD7. CD7 is a single chain cell surface glycoprotein of ~40 kDa, expressed by T cells, NK cells and thymocytes. 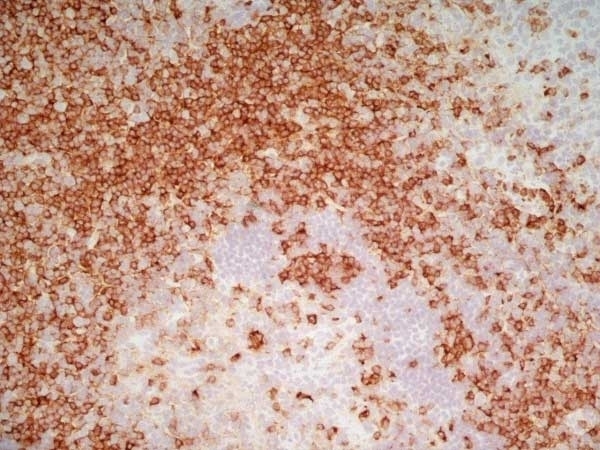 CD7 is also expressed by tumor cells in some cases of acute myeloid leukaemia. 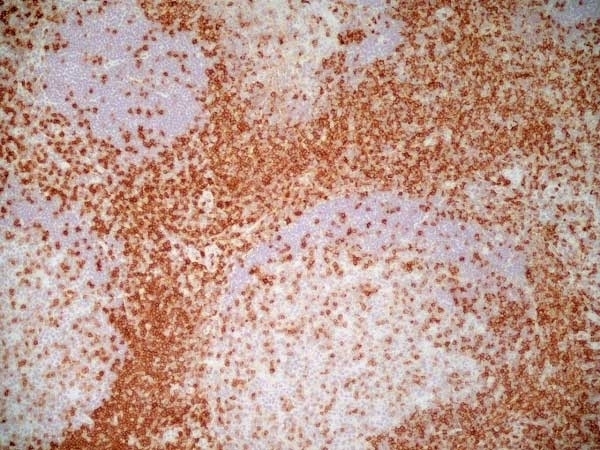 Normal human peripheral blood lymphocytes. 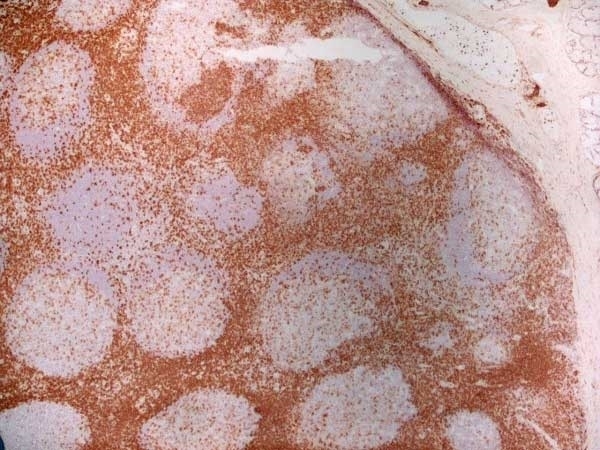 Spleen cells from immunized BALB/c mice were fused with cells of the X63.653 mouse myeloma cell line. Haynes, B.F. et al. (1989) Ontogeny of T-cell precursors: a model for the initial stages of human T-cell development. Immunol Today. 10 (3): 87-91. Aruffo, A. & Seed, B. (1987) Molecular cloning of two CD7 (T-cell leukemia antigen) cDNAs by a COS cell expression system. EMBO J. 6 (11): 3313-6.